Situated near to local facilities and excellent bus and road links. Brand New Four Bedroom Semi-Detached House available on Help to Buy Shared Ownership starting from £98,000 for a 40% share* plus a monthly rental charge. This desirable property is situated near to local facilities and excellent bus and road links. Close to the Ricoh Arena and A444 / M6. The accommodation briefly comprises: Hall. Living Room. Downstairs cloakroom. Kitchen/Dining room with door to rear garden. Fitted Kitchen includes integrated oven, hob and extractor fan, a fridge freezer, washer/dryer and dishwasher. There are four bedrooms and a bathroom with a shower over the bath. The property also benefits from flooring/carpets throughout, a turfed rear garden, ground floor security alarm and allocated parking. Call to register your interest or enquire online. 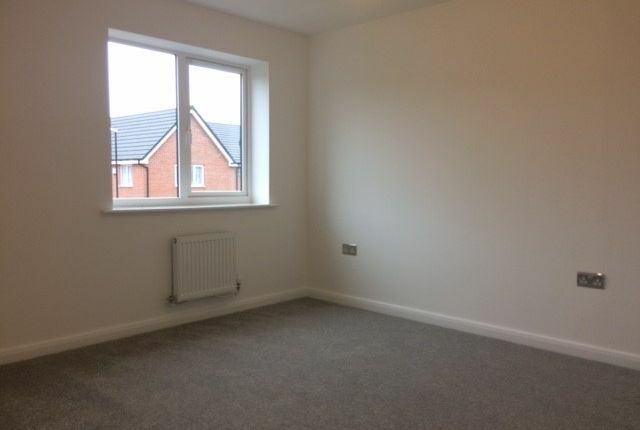 ^Photographs shown are for illustrative purposes only and are of a typical property at this development. The monthly rental charge excludes any mortgage payment but includes rent, buildings insurance, estate and management charge. *Share advertised is the minimum share. Maximum share for initial purchase 75%; Actual share purchase will be determined by financial assessment and individual circumstances in accordance with the hca guidelines. Property descriptions and related information displayed on this page, with the exclusion of Running Costs data, are marketing materials provided by Midland Heart - Kingfield Gardens, and do not constitute property particulars. Please contact Midland Heart - Kingfield Gardens for full details and further information. The Running Costs data displayed on this page are provided by SmartNewHomes to give an indication of potential running costs based on various data sources. SmartNewHomes does not warrant or accept any responsibility for the accuracy or completeness of the property descriptions, related information or Running Costs data provided here.